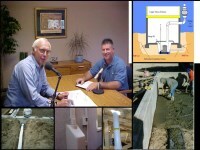 The easy-listening format of the audio Instruction includes interviews with experts in the radon industry providing you with insight into their experience as well as substantive technological and practical information. With an impressive 92% passing rate on the certification exams, these courses have proven to be successful and popular in preparing students for the certification exam and for conducting business. The course also includes field exercises that are tailored to fit your experience and needs. These exercises include the installation of a mitigation system and diagnostics. You receive one-on-one mentoring by a certified mitigator within driving distance of your home or can be mentored long-distance by a CERTI instructor. There is approximately 20 hours of coursework, including listening to audio instruction (in short audio tracks so you can listen to as many or as few as you want at any time); online resources such as videos, protocols, and publications; and quizzes that are taken as you progress through the course (not timed and may be taken unlimited times), plus the time for your field exercises. There is no time limit for taking the course, and even after completion you continue to have access to the course in order to refer back to resources. National Certification Exam: Purchased separately and available nationwide through PSI. Caleb said: Easy to navigate as long as you give your undivided attention. Learned a years worth of information in a few weeks. Thomas said: I especially enjoyed my phone conversations with Doug through the mentoring process... thank you. Steven said: Really enjoyed the field exercise, Mr. Kladder is a wealth of knowledge and experience! Dakota said: Everything was easily accessible . Tim said: Would recomend it to anyone. James said: Very well done and easy for me to follow, a lot of information covering different scenarios. Glenn said: Though well thought out. Joey said: Extremely informative, Mr. Kladder is a wealth of knowledge and ideas. He's ready and willing to help and responds super timely! Terry said: it was very Resourceful . Charles said: Comprehensive and convenient. It will prepare you for the exam and the field. I highly recommend it!! Ben said: It was well put together and I learned alot! Justin said: There may need to be better labelling with the topic tree on the left. In searching for my current place in the course process, I would have to open up each generic course ID. A label would be helpful. Besides that, this was a fantastic course! Thank you. James said: Maybe more video along with the audio tracks. Could be helpful. John said: Lots of stuff to learn from in the mitigation course. It was helpful to have a professional radon mitigator in the audio as well as Mr. Kladder. Particularly enjoyed being set up with a local expert to physically be involved in a mitigation procedure. Douglas said: I didn't like the audio method. I prefer a video type course. I'm more of a visual learner than an audio learner. Collin said: Would have preferred videos instead of just audio tracks for course content. just listening to audio can become very mundane after a while, and a hands on video of installation procedures would be helpful. Gairet said: Doug Kladder is a great instructor. Course materials are easy to follow along with. Good to hear from field professionals. mark said: I think the course was great but there is a lot of information to take in . I will have to revisit a lot of the information again. Michael said: The best course I've taken! Chris said: The course was easy to follow and was filled with great information about radon and how to mitigate the different ways it can enter a home. Nathan said: Course was very informative and being able to print the materials was very helpful.